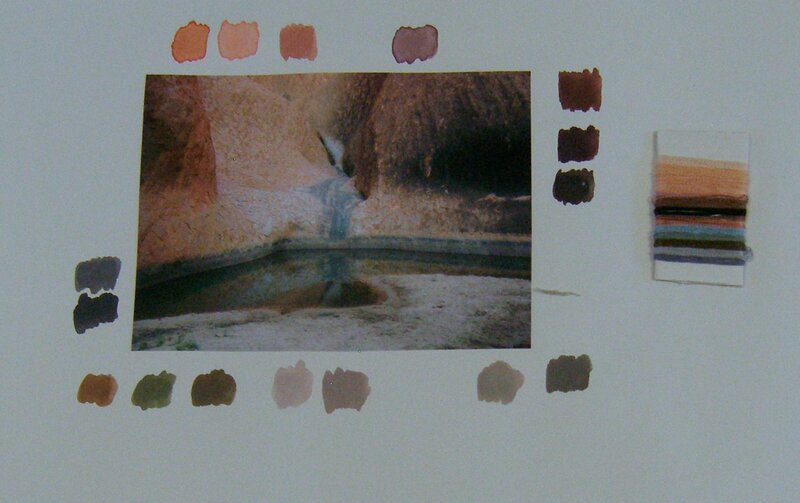 This exercise is to practice more the techniques of colour matching that were done earlier in the course. 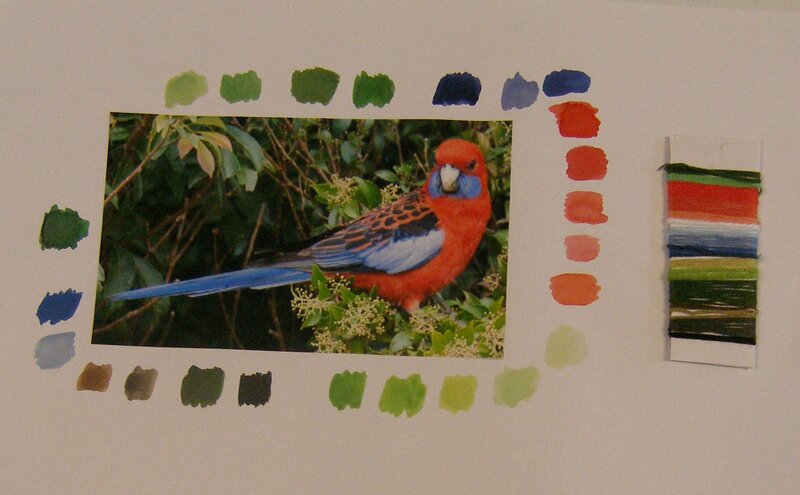 The brief is to select 3 images, match the colours in paint and then match the colours in yarns, trying to also match the textures if possible and proportions of colour. This photo I took while walking round Uluru (Ayer’s Rock) which has the most amazing range of water holes, cavelets and colours. I used gouache paints and yarns from my collection, mostly embroidery yarns with a few knitting wools as well. I photographed this parrot at O’Reillys retreat in Queensland. The vibrancy of colours is amazing and I tried to pick this out in the paint and yarns, also trying to get the proportion of colour right in the yarn sample. I am very fortunate to live in such an amazing country and I have visited a range of fabulous places in Australia so I have a variety of photos taken over a number of years. My last photo is some moss covered rocks in Bunbury. 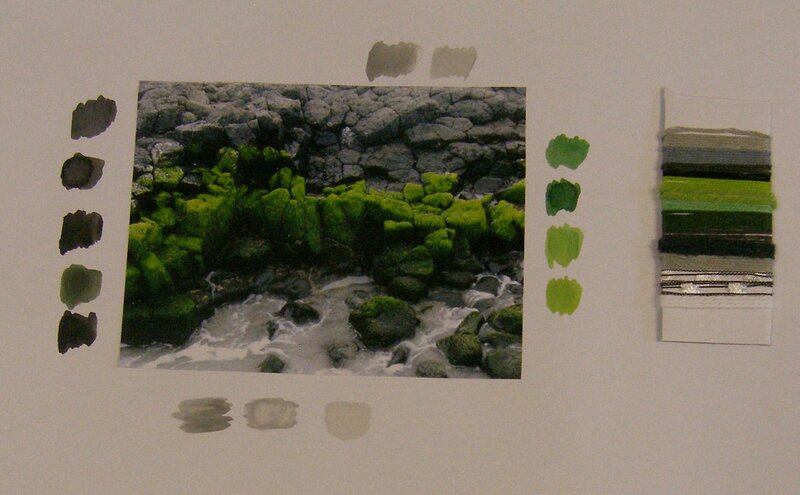 The moss has this wonderful spongey texture and a colour range from lime green to a deep velvet green. This type of exercise is good to do as it really makes me look at the image and pick out the individual colours rather than stand back and see the overall combined effect.